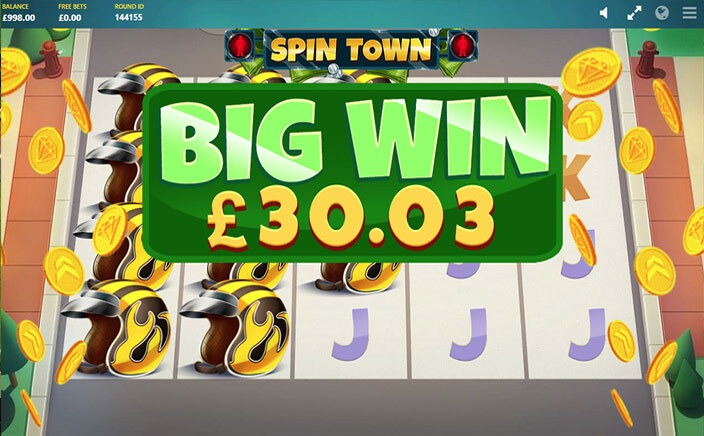 England is filled with beautiful towns and hence the slot game Spin Town has been set in one of the towns in England. The slot has 5 reels and a huge 40 paylines to reward the players with a lot of cash while playing the slot game. The slot has been designed by Red Tiger Gaming who has proved to be one of the most creative online casino game developers in the world. The slot has high definition graphics and the quality of the graphics remains unchanged even when the players play on their mobile screens. Spin Town as the name suggests is set in a town in England. The reels seem to be placed in the middle of the road and the symbols appear on the crossing of the road. The symbols are all designed based on the different kind of things that are in the everyday life of any person and they include a helmet, cash, key, ghetto blaster, wallet and a suitcase filled with cash. The low-value symbols are A, K, Q and J. The betting on the slot starts at 20p and goes up to £200 per spin. 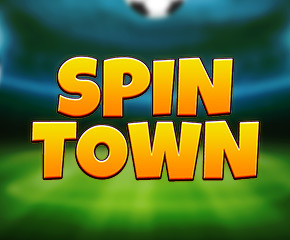 Spin Town has a lot of special features that the players will enjoy. There are 15 different character symbols and each one of these symbols acts as a wild. Each of these wilds can reward up to 20x the bet amount. The wild symbols are pretty entertaining and always appear on either side of the slot at the footpath. As the traffic lights turn green, the wild symbols will run to the reels and take their respective positions. There are three wild features that can take place in the game. The first is the sleepy wilds where an old man and women fall asleep while crossing the road and hence stay longer on the reels. There is a speedy wild where two people move swiftly on the reels and can cross two positions at a time. The last is the couples wild, where a couple’s meeting on the reels will displace an umbrella which is also a wild symbol. Here are three random features that are also given in the slot game. These include Rock ‘n Roll Shuffle feature, Hooligan Advance feature and Guardsmen’s March feature that can be activated randomly in the base game. Spin Town has one of the best ever designed and really innovative gameplay. The wild symbols are the most attractive feature of the entire slot game. Even though there is no scatter symbol on the reels, everything else makes up for it. The sound effects seem to be the cherry on the cake and make the slot even more playable.